Large gallery wrapped canvas. 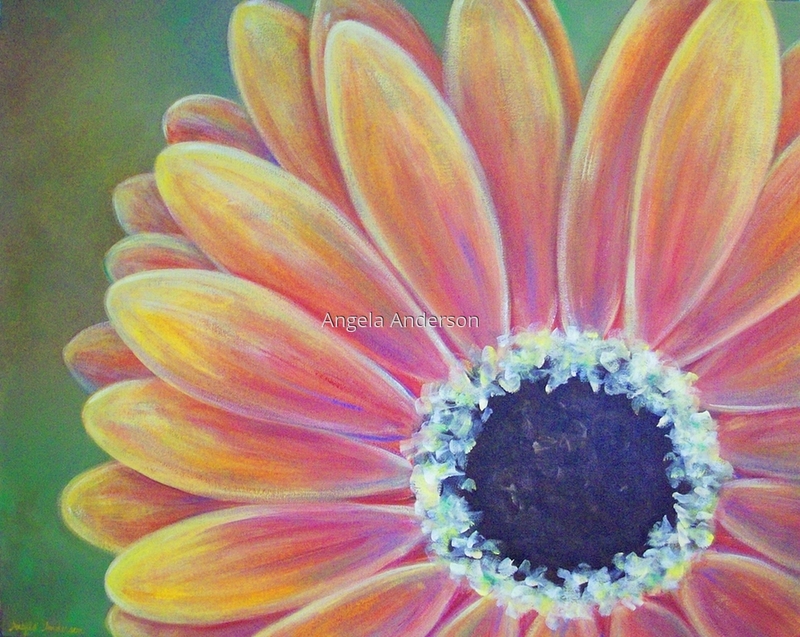 Salmon pink & orange gerber daisy with deep brown center. Soft green background. 5" x 6.25"7" x 8.75"9" x 11.25"11" x 13.75"13" x 16.25"13.375" x 16.875"